Crossfit is a strength and conditioning program that strives to improves all areas of your personal fitness. It works at improving your endurance, stamina, strength, flexibility, power, speed, coordination, agility, balance and accuracy. Crossfit does this through the use of varied workouts and movements performed at high intensity. Crossfit's main focus is on functional fitness. Functional fitness is your ability to live and enjoy your life to the best of your ability. Its being able to take your kids to the park and play with them, not watch them play. Its being able to help your neighbor move and not spend the next day on the couch with a sore back. Its your ability to get out of bed in the morning and not hurt for the first two hours of the day or running up a flight of stairs and not being winded. It's seeing the number of medications you take reduced to a multi-vitamin. Our goal is to make you better at living your life. Humans were made to be able to squat, pull, push and move. We will help learn how to do those things better than you ever thought possible. With all of our workouts, we always record some sort of score. This is done to help show improvement as well as foster a healthy sense of competition. What can be so frustrating for many people is feeling like they are working hard but not seeing the improvement they would like. By recording scores you will be able to recognized and celebrated every improvement no matter how big or small. Those improvements help keep you motivated and inspired to keep working and pushing yourself. I have always had a hard time sticking with a fitness program, why is this different? Well, there are a ton of reasons why CrossFit is different. Here are our top three reasons why we think Crossfit will be a different experience when compared to other more traditional forms of fitness. First, the community of Crossfit. All workouts are performed in a group environment. This group quickly turns into a group of friends. This community is one of the things that keeps you coming back each day. This community is what pushes and inspires you. Instead of walking into the gym and turning on headphones, you are greeting your friends and preparing for a challenge. Its the community that will help bring you in on the days where you might normally try to skip. Second, we do the preparation for you. With Crossfit, all we need is for you to walk in the door and be ready to work. Every class has a pre written curriculum that you will go through. On top of that, each class has its own trainer to teach you and motivate you through the entire class. Third, is the variety. Each workout in Crossfit is unique, so the days of monotony are gone. So many people have gotten bored and burned out with going to the gym and doing the same cycle of movements over and over again. Eventually the boredom leads to excuses for missed workouts and you are back at square one once again. The best way to experience CrossFit's unique and results-driven approach to fitness is I schedule a free private session. Click here to schedule yours now. Do I have to be in shape to start CrossFit? Absolutely not. Our athletes come to CrossFit in all shapes and sizes, and from a variety of backgrounds, fitness levels and ages. Some are self-proclaimed couch potatoes, some get their exercise chasing their grandkids, some are insanely fit first-responders and military personnel, some are former gym rats looking for a better workout, and others are seasoned athletes whose bodies have taken a beating over the years. Whatever your fitness level, we'll work with you to customize workouts that are appropriate for you and steadily build up from there. All you need to get started is a willingness to try, and a commitment to follow through. We'll help you with the rest. The longer you wait, the more you’ll kick yourself for not starting sooner. I am currently a member of a local gym and only pay a few dollars a month, why is Crossfit so much more expensive? At a traditional gym you are paying to use equipment. Your money allows you to walk in the door use their equipment to work out and leave. For some people, this works out great. Those people know how to workout and motivate themselves and are able to thrive in an environment like this. Others don't necessarily have the background and training to keep them in the gym day after day. If you miss a workout, the gym wont call you and check on you. If you are doing a movement wrong, they aren't going to correct you or help you.....unless you pay for the personal trainer. For several hundred dollars a month you will get someone to program your workouts and teach you how to do each and every movement. This expense is on top of your membership and ends up being very expensive, even more than Crossfit. With Crossfit, every class has as trainer.....every time. There is not additional charge, we want to teach you and help you learn the right way to workout and help you see how it can benefit your everyday life. I’m already in awesome shape. So why do I have to take the free introductory session before joining the group classes or becoming a member? The free introductory session is required for anyone interested in joining our classes, regardless of how fit you are. Chances are, CrossFit is pretty different than other fitness or sports training programs you've been involved with. This session gives you the chance to see what CrossFit Quake is really all about, and make sure it's right for you and your goals. It also lets us determine your fitness level, experience, athletic background and familiarity with the equipment and exercises so we can make sure you get placed in the right class. Plus, it's free! So what have you got to lose? If you're already super fit, then come on in and blow us away with your physical prowess. Click here to schedule your free private introductory session now. Our classes can be pretty intense, definitely challenging, always varied and a lot of fun. Led by our coaches, classes look, sound and feel like high-energy athletic events - lots of cheering, encouragement and maybe the occasional good-natured competition. Much smaller than your average gym class, our classes bring together folks from all walks of life in a supportive, motivating environment. And everyone in our classes gets a phenomenal workout - regardless of what kind of shape they're in. That's because, while all the athletes in the class do the same workout of the day (WOD), we scale the workout accordingly to everyones own level of fitness. Most of the WODs are timed - creating a friendly competitive atmosphere that pushes our athletes to perform. Some WODs are maximum-effort that focus on strength-building. Either way, you'll leave sweating, sometimes aching, but always feeling great about what you've accomplished and how much you've improved. Due to the technical nature of some of the movements we do in CrossFit, it would not be safe nor efficient for a newbie to jump directly into a CrossFit class. We do offer a free one-on-one introductory session with one of our certified CrossFit trainers. This private session will give you a great overview of what CrossFit is all about, and what a typical CrossFit group classes like. You'll also get in an awesome workout. Click here to schedule your free private training session. What can I expect once I sign up? Expect to start learning and improving right away. Our focus is on form and function. We want you to learn how to do things right. You will start in an On Ramp class where a trainer will teach you all of the movements we do in CrossFit, step by step. The On Ramp class is limited to a few people and allows for more detailed and focused coaching for you to better learn. This may feel a little overwhelming, and that is fine. In time these movements will become second nature and you will continue to improve. Crossfit is not the end all be all of fitness. But in our experience, many people have the same struggles and frustrations with fitness and exercise and CrossFit can help you overcome these hurdles and find a level of fitness you never thought possible. What is On Ramp and why do I need to do it to start? On Ramp is your next step after doing your introductory session. We take proper form and safe movement very seriously at CrossFit Quake. This is your opportunity to build a foundation of knowledge and experience with the most common movements in CrossFit. This is also your time to build some momentum so that you can hit the ground running once you join class. Can I work out at your facility anytime? You're welcome to come to any class that you're qualified for as a Quake member. We do not currently allow members to workout on their own during off hours. Do you offer Open Gym hours? Open Gym is offered to all Quake members on Thursdays during regular class hours. We do not currently offer an Open Gym only membership. Yes we do. Particularly for Police, Fire, EMT, active and reserve military, students, and family members (spouses and children under 18) living in the same household. If you're one of these, you can receive a 10% discount from your monthly membership. If you'd like to pay a 6 months or year of membership in full, you can recieve a 5% or 10% discount on your total price, respectively. Why is CrossFit Quake better than other CrossFit gyms? We've got nothing but respect for other CrossFit gyms, and have solid relationships with a number of CrossFit gyms in Northern California. CrossFit is a culture and a close-knit community, and there are many excellent CrossFit coaches out there. We'd like to think some of them can be found in our gym. At CrossFit Quake, our coaches are very experienced and knowledgeable - especially when it comes to ensuring the safety of our athletes. Our staff has over 25 years of combined experience and more than 25 certifications including Level 1 and Level 2 CrossFit certs, as well as several specialty CrossFit certifications. We take education and experience seriously. But more than their experience, our coaches bring an incredible level of energy, enthusiasm and pure love for what they do to our school and athletes. We have a blast together. We welcome people from all walks of life, and all fitness levels - no pressure, no preconceptions, and no posturing. I’m a member of another CrossFit gym. Can I jump into your group classes? If you're currently a member of another CrossFit affiliate from out of town, and want to drop by for a WOD, you're welcome to join any of our group classes. You must be a current member - no exceptions. Drop-ins are $15 per class. Just give us a call at 209-437-5631 or email us at Crossfitquake@gmail.com so we can get you all set up. You can check out our class schedule here. Can I bring my kid(s) with me while I work out? They are really well behaved. We do have an onsite Kids Room. This is not a play room packed with toys, but a quiet space where up to six well behaved kids can read, color, do homework, watch a movie or otherwise keep themselves occupied while their parents work out. We do not offer babysitting services, so parents are responsible for taking care of their kids' needs and making sure they don't disrupt classes. For the safety of our members and their children, kids - even the most angelic ones - are not allowed on our gym floor at any time. Simple. Start by clicking here to schedule a free private introductory session lead by one of our certified CrossFit coaches.  You could also give us a call at 209-437-5631or shoot us an email at Crossfitquake@gmail.com and we will set up a time that works for you. This no-cost, no-obligation, one-on-one session gives you a great overview of the CrossFit approach, program and equipment, while letting us get a better understanding of your goals and experience. Once you've completed the intro session, we'll help you find the right membership plan and classes for you and get you signed up.